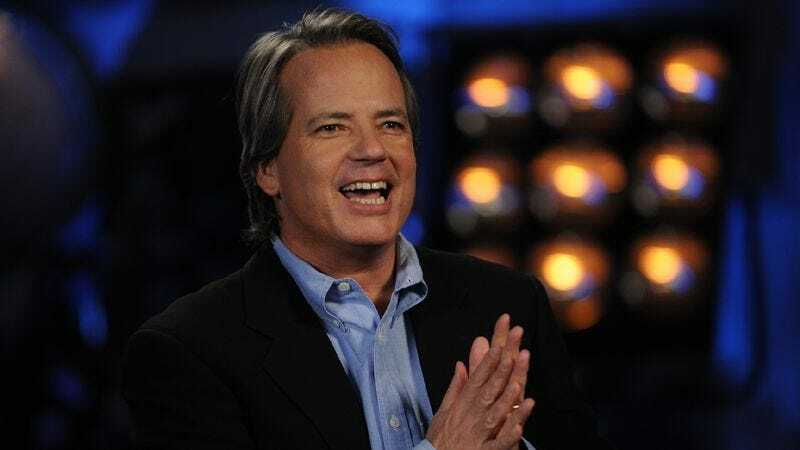 Graham Yost talks Justified, Speed, and… Full House? The writer: Graham Yost got his start in kids’ TV and sitcoms, writing for the Nickelodeon dude-ranch comedy Hey Dude and the Norman Lear-produced The Powers That Be before landing his big writing break, penning the screenplay for Speed, the famed “bus that couldn’t slow down” thriller of 1994. From there, his career took him to writing several other action movies, including Broken Arrow and Hard Rain, but he also dabbled in hourlong TV, including the HBO miniseries From The Earth To The Moon and Band Of Brothers. In the early 2000s, he sold a pilot to NBC, which became the Rashoman-inspired cop drama Boomtown. Since then, he’s bounced around the dramatic-TV landscape, finally landing as showrunner and developer of FX’s Elmore Leonard adaptation Justified, which closes out its fourth season tonight. Yost—whose work is marked by wry humor, unexpected plot turns, and larger-than-life characters—recently talked to The A.V. Club about switching up the format of Justified for the fourth season, why he was a poor fit for Full House, and his work on the new FX series The Americans. The A.V. Club: When you’re getting into season four, five, six, how do you keep a show like this fresh? Graham Yost: I don’t know if there’s any one particular recipe for keeping it fresh, but we don’t want to repeat ourselves. For example, in this season we didn’t even have Boyd and Raylan cross paths until the fifth episode, because we’ve done so many scenes of Raylan going to see Boyd or Boyd going to see Raylan. We wanted to try and figure out new ways to do it this year. Similarly, in seasons two and three we had what we called “the big bad.” In season two it was Mags Bennett [Margo Martindale]; in season three it was Robert Quarles [Neal McDonough] and also Limehouse [Mykelti Williamson], but Quarles was really the focus of the badness. So this year, we decided we wanted to have the season driven by a mystery and that dictated how we would then lay out the season. Thankfully, people have recognized that this season is a different animal, but they also seem to be enjoying it. We didn’t know entirely if it would work, but we knew we needed to try something. And we have no idea what we’ll do next season or in a sixth season. AVC: What was the biggest shift in moving from a big villain to a big mystery? GY: Well, the big pro was that we didn’t have to delay the final confrontation between Raylan and the bad guy. We were able to do that in the second season because Mags didn’t really emerge as the bad guy until several episodes in. The audience knew from the poisoning death in the first episode, but Raylan wasn’t entirely aware of that until we were well into the season. And we had sons of hers that he could slowly work his way through and focus his ire on. In the third season, it was difficult to keep Raylan from just going up and killing Quarles. We sort of had to dance around that and delay things. I think we did a pretty good job, but it was an effort. So when we had a mystery for the fourth season, we knew that we didn’t have to worry about that, but then the con is playing out a mystery. What does Raylan find out, and when does he find it out? That became a real challenge. AVC: When you have a mystery built around a central question like “Who is Drew Thompson?” do you worry about the audience getting ahead of the characters? GY: Yes, absolutely. We’ll see how much of the audience had figured it out. I have to be perfectly honest that the answer that we came up with was not something that we had been planning from the beginning. We had a different path, and it just wasn’t that satisfying, and then Ben Cavell, one of our writers, came up with the idea in the room one day, and we thought about it, we tracked it back, and did it make sense. It sort of feels like, “Wow, we must have been planning that from the beginning,” but we hadn’t. Once we figured out the answer, then we started to put in stuff that would support that and then that becomes the question, “Have we gone too far? Is the audience going to figure it out?” And I have to say that the audiences today are so smart and pay attention to every little thing, so I’m sure there’ll be a big chunk of Justified’s audience of committed viewers who will figure it out. We did our best to hide it, but there are some who will get it. Hopefully they’ll enjoy it anyway. AVC: At the New York TV Festival in October, you mentioned that you had worked for an encyclopedia? GY: Encyclopedia Britannica. It was a separate project for them, and then I ended up working on a direct Britannica project for a while. I can’t even remember the name of what the other encyclopedia was. It was a heavily graphics-oriented encyclopedia with beautiful illustrations and such. That was sort of ’82, ’83. I also worked for Facts On File. AVC: Encyclopedias are going away. What was it like to work on an encyclopedia, for the future generations who are confused by that concept? That said, the stuff I was actually doing for Britannica was working with a bunch of writers and we were taking articles in what they then called the “macropedia,” their in-depth articles, and basically chopping them down, so they would fit in what they called the “micropedia.” That whole macropedia/micropedia thing was something they decided to do that absolutely never made sense to me. This idea [to] fill out the micropedia. At that point, if you looked up “automobile” in the micropedia, you wouldn’t find it. It would say “see macropedia,” which is annoying, so they decided, “Well, we’ll have a shorter version of the piece from the macropedia in the micropedia.” It was all very confusing. Anyway, it was fun. AVC: The first credit you have on IMDB is Hey Dude. Is that accurate? Was that your first paid scriptwriting work? GY: Paid scriptwriting, yeah. In terms of a commercial production, there was a script that a friend of mine wrote called Death Sentence, which got filmed as a movie called The Chair, and I don’t even know if we ended up getting any credit on that. Made for about $1.98. But that came out in the mid-’80s. It bore very little relation to… our idea was a haunted prison. We were inspired by Evil Dead, and we wanted to do Evil Dead in a haunted prison, a derelict prison. It was a fun idea. The movie I don’t recall as being very good. But Hey Dude was my first real “paid to write scripted television” experience. GY: It was very low-budget. We were shooting on location at a real dude ranch in Tucson, so it looked pretty good for the paltry sum. We’d shoot an episode in three days so we were shooting 10 to 15 pages a day in the half-hour format. It was a great experience. The budget was a challenge, but the big challenge was just that we weren’t necessarily the best writers; we all became better. Lisa Melamed started on that show, and she’s gone on to a long career in television. That was the starting point for me, and we learned a lot by doing, and that was really cool. You could just see things to do and not do. AVC: This was a part of Norman Lear’s comeback in the early ’90s. How closely did he work on that show? GY: Well, let’s put it this way: For the last year, we’ve had a number of Powers That Be reunions. We get to hang with Norman again, go to his house, screen an episode, and have a great dinner. So we all have very fond memories of working on that show, and we worked very closely with Norman. I remember when I went in on the interview, just that feeling of sitting out in the waiting room and the door opening, and here comes Norman Lear in the hat. It was one of those great moments, “I’m meeting Norman Lear.” Getting to work with him and for him was just fantastic. But I was also getting to work with and for [Marta] Kauffman and [David] Crane, and this was before Friends. They were just so sharp and so funny and so wonderful. The actual showrunner the first season was Charlotte Brown, who worked on Rhoda and many other shows, and she was just brilliant. It was a great show to work on. There are jokes that I wrote for that show that I’m still quite proud of. Stuff that Ron Burla wrote and Charlotte wrote, and other writers, too. Getting to work with Peter MacNicol and Valerie Mahaffey, Robin Bartlett, Eve Gordon. And Holland Taylor. My God, she was just fantastic. And John Forsythe. Now I’m just reciting all the crew. Then there was this young kid, who to us was just Joey, now he’s Joseph Gordon-Levitt. We just all kvelled as he went from that to 3rd Rock [From The Sun] and then on to stardom. AVC: There was this attempt to revive the kind of social issues-based comedy that Lear had done in the ’70s. What was interesting about doing things from that approach, doing political and social humor? GY: I don’t know that we ever entirely nailed it, but it was fun to have such a Machiavellian character in the wife, Margaret, played by Holland Taylor. And David Hyde Pierce playing the suicidal son-in-law. And Peter MacNichol playing Bradley, the press secretary. It was fun to play with those characters. I don’t know if we got into political stuff as well as other shows have since, looking in terms of satirical things, something like Veep, which I think is brilliant. It was fun to play in that world, but, for example, we didn’t have anyone on staff, like West Wing had Lawrence O’Donnell on staff, and people who’d worked in that world. I’m sure Veep has people who’ve worked in that world, so that’s something that we probably could have done with. We did the best we could. We played it more as a dysfunctional-family story that’s set in politics, rather than a political story. AVC: You wrote an episode of the short-lived WB drama Summerland. How on earth did that happen? GY: Yes. Remi Aubuchon [24, Falling Skies] was running the show. He was in a jam, and it was after Boomtown had collapsed. I guess it was the spring after Boomtown went down. I’d done a pilot with my brother, and that wasn’t getting picked up. I just had a little bit of time, and he needed another hand in the writers’ room. Someone to turn out a first draft that he could then butcher and destroy. No. It ended up getting better under him when it went through his computer, but it was fun. There’s one credit that you’ve not mentioned, which is my short, short stint on Full House. So I got to see Lori Loughlin again, and that was fun. Of course, I don’t know that we actually met when I was on Full House, but I certainly had an affection for her, so that was fun. AVC: How long were you on Full House? GY: I was on Full House for nine and a half weeks. I was hired on a probationary period of 10 weeks, and I quit four days before I was going to be fired. It’s funny, I’ve run into Dennis Rinsler, who was one of the showrunners there with Marc Warren, and they have never confirmed for me that I was going to be fired, but I certainly felt like I was going to be fired. AVC: Why did you feel like you were going to be fired? AVC: Now that you’re a showrunner, what have you learned from that experience about what to do if someone just isn’t fitting in? GY: You just take them out back and shoot them. It’s okay. No. You take a look at the end of the season. Who really gets the show and for whom is it a greater struggle? And you make decisions then. We’ve been very fortunate on Justified, had a strong staff right from the beginning. That said, it has changed, Fred Golan and I have made changes as we go. It’s our plan to pretty much stand pat from here on in. It feels like we’ve really got that Elmore Leonard-ish voice with Raylan and Boyd and the type of stories that we do. But it’s hard to figure that out staffing in the first season. AVC: Where did that idea come from? GY: If you check into my IMDB, you see my father mentioned. My dad had a show on television in Toronto for 25 years—actually it went on for another 13 [after he retired] and is just wrapping up this season—called Saturday Night At The Movies, and it was all about movies. So I grew up in a house where we talked about movies all the time. At times I would say, “Dad, can you think of any films, any story, that maybe wasn’t done well but was a great idea?” And he would noodle on that and give me ideas, but he did tell me he’d heard about a Kurosawa script about a train that couldn’t slow down or it would blow up. He told me that in the mid-’80s, and then I remember Runaway Train [Konchalovsky, 1985] coming out, and I saw the credits, and it said “screenplay by someone someone and Akira Kurosawa” and I thought, “Oh, that’s it.” I went to see it, and it was a really fun movie, but it wasn’t that there were explosives. My dad would take an idea and, as he would put it, re-direct it in his head. I think he was right. In Runaway Train, they just can’t get to the brakes because the train is all frozen, and it’s going through Alaska. I came out of that movie thinking, “Man, that would have been better if it was explosives, and it would have been better if it was a bus.” That was where it came from. AVC: Just listening to the timeline, it sounds like it sold in 1989, ’90 and then it didn’t come out until 1994. Is that how you remember it? GY: It sold in the summer of ’91. I did Hey Dude for ’89 and ’90. And [I was] looking for work after Hey Dude went down. That’s when I wrote spec half-hours. I wrote a spec Roseanne and a spec Murphy Brown and got an agent. I already had an agent, but I didn’t really have a TV agent. She got me on Full House, and in that time, before I went on staff at Full House, that’s when I wrote the first draft of Speed. It sold that August. Then I went on Powers That Be, because I was told, and it was true, that it took about a year to hammer out the contract and write the first draft. Originally it was for Paramount, and I turned that draft in the fall of ’92. So it moved along. Television moves much faster, but for features… It sold in the summer of ’91. Draft in ’92. Paramount put it in turnaround in the fall of ’92. Fox picked it up. Started doing more drafts for them into ’93. Then they green-lit it early in ’93. Hired a director, Jan de Bont, moved forward. Then I was kicked off for a draft and brought back for a draft. Then kicked off again. Thank God they brought in Joss Whedon. He did a great job. Then it shot in the fall of ’93 and moved quickly through post-production. They were going to release it in August of ’94, and they saw what they had and how audiences were responding to it, so they moved it up to June. AVC: Every time I’ve heard you talk about this movie you’ve mentioned that Joss Whedon did such a great job on it. A lot of writers are not anxious to share credit like that. What prompts you to do that? GY: Listen, it was a weird thing, so when it came to writing credits, I lobbied to get full credit because I felt that getting the big rock rolling is the hardest thing in a movie. But I always felt that Joss deserved some credit. Back in the old days, there was a credit like “additional dialogue by” or “additional writing by,” and the WGA, for good reason, forced the studios to abandon that credit, because they really wanted to encourage the studios to stay with the first writer. Of course, the studios are not going to stay with the first writer if they want more writing done, so you end up in this odd position with the WGA where there are no additional writing credits. But people can petition to get their name on that to get some kind of credit. The arbitration panel agreed with me, and it caused a bit of bad blood between Joss and myself for a couple days. Then we saw each other at this big party, which was unheard of, and I don’t think any studio does it anymore. They had a big barbecue on the Fox lot while we waited for the results, as it were, to see how the film was doing. We talked again, and we buried the hatchet. It was fine. But there’s still a part of me that really thinks Joss always deserves credit on that. But by the WGA rules, I deserve the sole credit. That’s just the way it went. But there’s still a little part of me that’s like, “Ehh.” So I mention Joss. It also became a big thing at the time. There was a thing in Time magazine about how he had done a big rewrite on the script, and it was just kind of, “You know what? I’m not going to dodge it, I’m just going to embrace it.” It’s just that Speed is the biggest credit, right? But I could tell you stories about Broken Arrow and William Wisher doing work on that. Hard Rain, my joke is, “Well the problem is, no one else did writing on that, so maybe that’s why it didn’t…” There’s part of me that wishes that Joss had done a pass on that one. I’ve rewritten other people’s movies and have gotten credit and haven’t gotten credit. It’s part of the job in 20th- and 21st-century screenwriting. AVC: It always seemed like NBC wanted it to be not what it was. Is that an accurate assessment? GY: I’m of two minds about Boomtown in that regard: One is that NBC was the only place that would put that on the air. They were coming from a position of great strength, so they were willing to take a chance. They had kind of put out to the community, “If you’re thinking of taking something to HBO, bring it here first.” Boomtown was perhaps, in retrospect, better suited for HBO or FX. But at that time, HBO had The Wire, and FX had The Shield. So NBC was really the only place for it, and they embraced the Rashomon structure and were excited by that, but then when the ratings weren’t spectacular, what happens is everyone questions everything. “Maybe that’s the problem. Maybe it’s the music. Maybe it’s this. Maybe it’s that.” And the doubt becomes corrosive. AVC: Do you have elaborate ideas of what might have happened in that show? GY: I didn’t really know where it was going. I really enjoyed being in that world and telling these stories from different points of view. Even though we kind of abandoned that in the second season, we didn’t really. We just stopped putting up the card saying that it was in someone’s point of view. I was honestly just enjoying it story by story, where it was going to go. I think with Justified, we spend more time trying to imagine the whole season before we start writing than we did on Boomtown. And Boomtown was lightly serialized; it had arcs for the characters, but it was also each episode was more of a standalone. AVC: What’s the extent of your role there? GY: Everything that you like about the show is all due to me. [Laughs.] No, it’s due to Joe [Weisberg] and Joel [Fields] and the cast. I’d worked with Joe on a pilot for FX, a script, a few years before, and he’s such a spectacular writer. I don’t know that he’d ever written a script before, and it was just right out of the box, he was a great writer. That was pretty cool. What I do is, they’re at the point now where they are so under the gun they don’t do outlines anymore; they’re just jamming out first drafts. But earlier on in the season, I’d read an outline, then I’d read the drafts, and I’d just talk to them about it. And watch cuts and talk to them about it. They would also call me and just sort of run notions by me. Much to their credit, they’d sometimes listen to me, and to their greater credit, sometimes they would completely ignore me. Which you have to do and figure out the show yourself. They’ve really done a great job. Like Justified, not every episode is their best, but the ones that are great are really so strong. It’s so much fun to watch. I do think I’ve got one of the best jobs in television, which is that I get to read scripts and see cuts before anyone else does. AVC: Is there some script or some pilot that you were never able to sell or that you sold and it never went forward that you particularly regret didn’t happen? GY: I guess there’s two. One was, I wrote a feature script for 20th Century Fox on the Challenger Space Shuttle disaster, and my research got so in depth that I really was unable to corral it down to a two-hour movie. That was a very powerful experience, working on that. I don’t know if it’s my best writing, but it was a great experience. Then the other thing is, I worked with Fred Golan and Chris Brancato on a miniseries about 9/11 for NBC. They ran out of money. They couldn’t afford to do it, and we were in competition with an ABC thing [a competing September 11 project]. Ours would have been somewhat different, but that was a very powerful experience, meeting family members of people who had perished and talking to people who were on the commission. To a great extent, I think that we dodged a bullet by not actually producing it, because I think that no matter what and no matter who and no matter how you did it… but I said, “Hey, we got paid for eight months to research the single most important world event of our time.” I hope that remains the case. I hope there’s nothing worse in the future in our lifetimes.